"So, Jared, what you're going to want to do is set up your own business, with the team you play for being your biggest client. Profit immensely from that off the books, while the Rams pay you far less on the salary cap than your market value. You'll still make as much money as you otherwise would, but they'll be able to afford better players around you, and morons will think you're just taking less money for the good of the team." 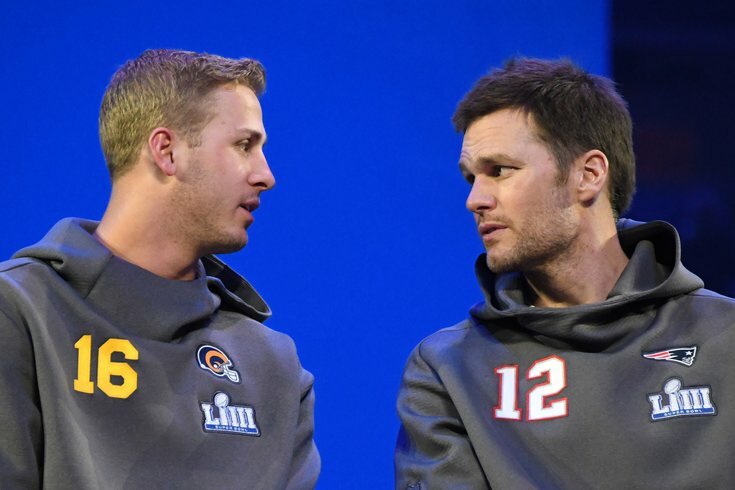 The New England Patriots are in the Super Bowl for the third straight year (yawn), this time against the Los Angeles Rams, in a game in which most are trying to choose between the lesser of two evils. The reason to hate the Patriots is easy. They've been caught cheating on multiple occasions, and likely got away with cheating against the Philadelphia Eagles in Super Bowl XXXIX. Also, they make deep runs into the playoffs every year, so it can be tiring seeing them so prominently featured year after year, even if all their success is tainted. Meanwhile, the Rams are led by a wildly over-hyped coach in Sean McVay (who otherwise isn't unlikable, to be fair), and are owned by a guy (Stan Kroenke) who promised the city of St. Louis he would do everything in his power to keep the team there, before gleefully moving to the west coast. The Patriots are favored by 2.5 points. In case you missed our Super Bowl pick, you can find that here. Feel free to discuss the game below, and let the hate flow through you.